February 16, 2018 by Laurie Leave a Comment This post may contain affiliate links, which means if you click on a link and purchase something, I may earn a small commission (at no additional cost to you.) See my disclosure policy HERE. I think these poufs are super cute and I've been seeing them in all the decorator magazines. They are so versatile and can serve as extra seating or as a little ottoman with a cute chair! 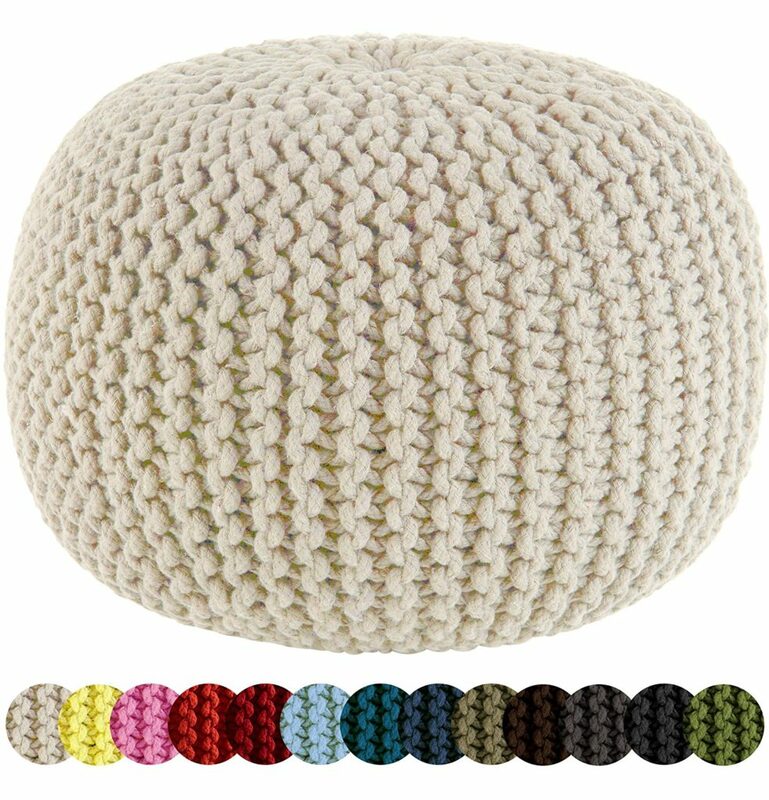 Amazon has a terrific price on these hand knitted cable poufs (really the best I've seen and so much less expensive than the ones at World Market, eek!) There are several colors to choose from and a great deal for just $60.99 plus free shipping if you are a Prime member! These get great reviews as well! You can snag one HERE! 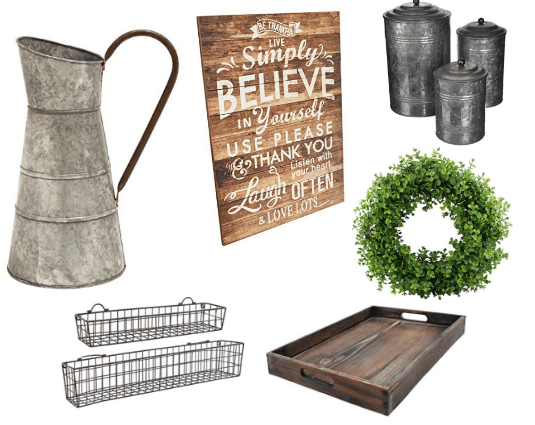 Check out more Farmhouse Decor Steals and DIY Projects here!